Check out the newest Health Wonk Review: Presidents’ Day edition, hosted by David Williams at the excellent Health Business Blog. This week’s issue has a plethora of posts about the Affordable Care Act, aka Obamacare – quelle surprise! The wonks offer diverse and informed opinions. Don’t miss David’s post on the Cadillac Tax – that one was news to us. There are other topics discussed, too. We always Like Roy Poses posts – he is always holding someone’s feet to the fire for conflicts of interest, and we like that about him! Trump’s new Labor pick Acosta likely to be more nuanced than Puzder – At BenefitsPro, Nick Thorton brings us a closer look at R. Alexander Acosta, noting that his first test could come in the economic and legal analysis of the fiduciary rule ordered in a recent presidential memorandum. For additional perspective, Jeff Hirsch at WorkplaceProf Blog gives Acosta thumbs up. At the Washington Post, Jonnelle Marte offers five things you should know about Alexander Acosta. At The Pump Handle, Celeste Monforton looks at the demise of Puzder and offers a range of positive perspectives on Acosta from labor leaders. We remind you that Peter Rousmaniere’s Working Immigrants blog is a good go-to source for keeping up with related events. Violation Tracker Database Catalogs Corporate Crime, Safety Violations – At EHS Today, Stefanie Valentic points us to Violation Tracker, which compiles company data from 39 different agencies including OSHA whistleblower allegations. Is good health care an “unalienable” right? Should Ms. Washington have to choose between paying her mortgage and buying her insulin? Let’s begin by considering the phrase, “To secure these Rights, Governments are instituted.” Then, consider, “Pursuit of Happiness.” Those two phrases suggest that one of the prime responsibilities of Government is to insure nothing prohibits citizens from being able to seek Happiness. Everyone must have the opportunity to find Happiness for themselves, the key word being “opportunity.” Government doesn’t guarantee Happiness, just that we have the chance to land on it. It’s up to us, but Government must do all in its power to see that unreasonable impediments are not placed in our way. But what about Life and Liberty? The Founders did not choose to put the word “pursuit” in front of Life and Liberty. What does that mean? If Life and Liberty are unalienable rights that Governments are instituted to secure, what must Governments do to accomplish the mission? Consider Liberty. Government has created a national defense system to defend our country and, by extension, our Liberty. The Founders recognized taxation as the most equitable means of paying for this, and so every year each of us kicks in our share (although this might be debatable) to guarantee our unalienable right of Liberty. Now, think about Life. Some may say Life is what national defense is all about, but, as I have shown, Liberty is more closely aligned with national defense. If the Founders wanted to make Life and Liberty go together, they would have written, Life and Liberty, not Life comma Liberty. Then what does “Life” mean? For the answer to that center of the bull’s eye question, I turn to those great English philosophers, the Bee Gees: Life means Stayin’ alive. What should Government be doing to secure this first of the three unalienable rights for us? If Type 1 diabetics require insulin every day to stay alive, to continue Life, should Government guarantee they are only able to pursue it, as in the “pursuit of insulin?” Or, to secure the unalienable right of Life, must Government provide the insulin, paid for by taxation of all citizens, as it provides a national defense system? It is unfortunate that these most basic of questions are not front and center in our nation’s capital. But to truly “secure” our “unalienable Right” to “Life” requires the goring of too many oxen (or, an unlucky Matador), as Joe Paduda writes in his blog today. Pity the Republicans. They’ve caught Obamacare, like that dog that caught the bus, a trite phrase, but, in this situation, apt. They need to do something, but whatever they do, a large swath of America is going to pour fire and brimstone on their heads. Damned if they do, damned if they don’t. Too bad. It didn’t have to be like this. Fresh Health Wonk Review at medicareresources.org blog – check it out! 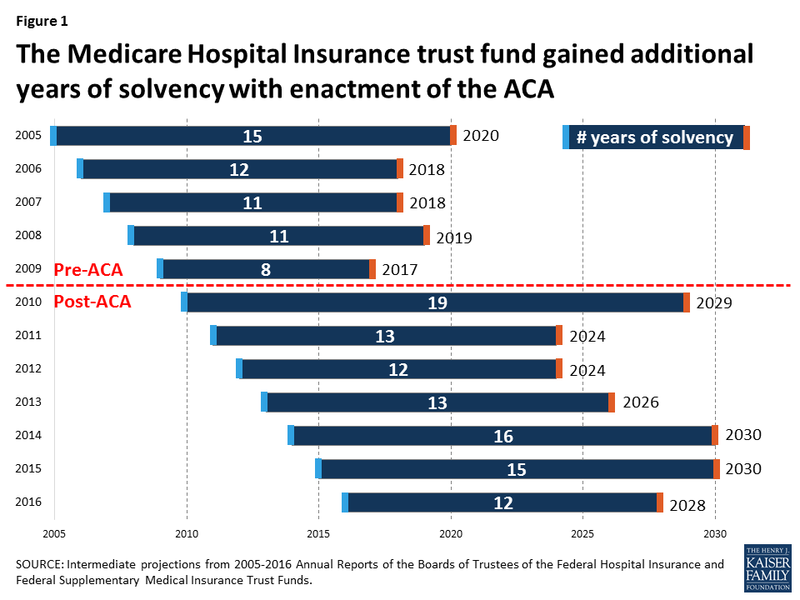 Steve Anderson has posted the latest and greatest Health Wonk Review – the #alternative_facts Edition at medicareresources.org blog. The Affordable Care Act (aka Obamacare) is not all that’s on our wonks’ minds of late, but it certainly takes up a huge portion of the mind share as evidenced by the plethora of related posts. We are a diverse crew, though, so there are also posts about a variety of other topics: the reaction to/impact of the immigration ban on healthcare industry, best cancer treatments, the process of healthcare M&As, legal liability in the form of class action suits for a data breach. and workers comp. One thing we find: the contributors are all very knowledgeable people – even if a topic is not on your radar, it’s a good way to learn something new. 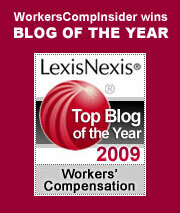 Posted in News roundups | Comments Off on Fresh Health Wonk Review at medicareresources.org blog – check it out! Employee has asked for vacation time and it is denied due to no time left, or not eligible, or because someone else is off work at the same time. And she’s right. Of course these real life situations occur. However, they’re present and happen all the time without injuries, too. They are non-physical, “social” comorbidities; things that can easily impede and delay return to work. Unless, that is, claim adjusters are trained and experienced enough, as Ms. Separa is, to dig a little deeper, find them and address them appropriately. We also heard from our friend Robert Aurbach who wrote from Down Under to say, while he “applauds” our efforts and thinks “they are valuable,” he suggests “perhaps they don’t go far enough.” Rob believes the “problem is partly the system itself;” we create the harm I cited. As that great American philosopher, Pogo, opined on Earth Day, 1971, “We have met the enemy and he is us.” The system is iatrogenic (system caused). Timing is everything. There is a substantial research literature demonstrating that if a worker does not return to work within 12 -16 weeks, the probability of eventual return is reduced to 50% or less. Rob Aurbach’s paper is a valuable contribution to understanding how easily a claim can deteriorate to the point where an injured person’s life is forever changed, and not for the better. I urge you to read it. It’s well-researched, well-written and profoundly thoughtful. Twenty-seven pages long, the last seven of which are endnotes and references. I found the first half of the text compelling and enlightening. His common sense recommendations that follow are pretty simple, but wickedly difficult to implement: Claim managers and adjusters should intervene early, demonstrate respect for the injured worker, promote early return to work, align incentives that encourage recovery, restrain negativity, listen attentively to the worker’s story, etc. In short, all the things managers, nurses and adjusters like Sue Separa know they should be doing, anyway. Trouble is, for these often overworked professionals, each managing a steamer trunkful of claims, there isn’t a lot of time to devote to Rob’s prescription. The iatrogenic system isn’t built to allow it. And that’s where behavioral health clinicians and therapists, for the most part underused and undertrained, should be called on to help. Work Comp Psych Net, the New Jersey company I described last week, would be a good place to start. Finally, we listed the serious factors that make finding a solution to this looming crisis tremendously difficult. But early in 2015 in New Jersey two Neuropsychologists, Mary Ann Kezmarsky and Richard Filippone, had an idea. Over a couple of decades, they’d treated a number of workers’ compensation claimants and had been appalled by what appeared to be the lack of a coherent system to deal with the issues they saw in their patients. They weren’t exactly sure what to do about it – they didn’t know much about workers’ compensation – but they saw it as a business opportunity. Over the last half of 2015, we recruited, credentialled and vetted 44 mental health professionals covering 55 offices throughout New Jersey’s 21 counties. Providers within WCPN’s network include psychologists and neuropsychologists, as well as cognitive rehabilitation and biofeedback specialists. All of the clinicians and therapists gave up a weekend to attend Lynch Ryan training in workers’ compensation. They learned about the New Jersey law, as well as the way workers’ compensation works – how a premium is constructed and what indemnity and medical benefits are. They now understand experience modification, maximum medical improvement and the law regarding injuries “arising out of and in the course of employment.” Further, they have been educated regarding early return to work and have agreed to work with employers, adjusters and nurses to effectuate modified duty wherever possible. We built (with difficulty, because it wasn’t easy) the nation’s first electronic Claimant Intake & Referral Portal that allows claims adjusters, nurse case managers and attorneys to refer a claimant instantly. The paperless portal’s referral system is geographically and specialty based, meaning that referrers are assured that claimants will not have to travel far to reach their assigned clinician. In the past, referrals and appointments took weeks, even months, to arrange, but they can now be finalized within minutes. In Beta Testing from May through October, 2016, the longest time from referral to Provider scheduled appointment was 27 minutes. We built (with even more difficulty) the nation’s first mental health Electronic Health Record system for workers’ compensation. The EHR is set up as a roadmap for all WCPN clinicians to follow, meaning reports have a consistently structured form. The EHR is paperless, HIPPA-compliant and cloud-based. Initial Psychological Evaluations and subsequent treatment reports reach claims adjusters in pdf form within five business days. Our clinicians are all highly qualified and experienced; they know how to treat workers with mental health issues delaying recovery. But to make the system work we needed to understand the needs of adjusters and defense attorneys who would be referring the injured workers the clinicians would treat. Consequently, we conferred with experienced adjusters and defense attorneys. After doing so we decided that every referral would begin with a thorough Initial Psychological Evaluation (IPE), which, although not technically an IME, would be done at the IME level (we priced the IPE at $450, and, since nobody’s complained, we now think that’s too low, but we’re sticking with it). If the Initial Psychological Evaluation determines the presence of one or more mental health issues which are deemed to be work-related and requiring treatment, the treatment prescribed is initially authorized for up to 12 sessions unless medically justified, extraordinary circumstances are present. Additional treatment requires the approval of the referring party. We officially launched in November, 2016. Over the intervening three months we’ve learned two things (among a lot of others): First, our solution works extremely well; referrers have been highly receptive and pleased. They appreciate the ease of referral and the EHR reports. They appreciate even more the fact that our clinicians and therapists have been trained in workers’ compensation. We’ve signed contracts with insurers and TPAs. Second, this could be a national solution. So, our solution is working in New Jersey, but every state workers’ compensation system is grappling with how to deal with psychosocial issues that frequently hobble recovery. This may be work comp’s final frontier. Time will tell whether our template and software could help others. Regardless, we will continue to improve our solution at Work Comp Psych Net, as well as report on our outcomes. It’s taken us nearly two years to get to this point, so if any reader wants to take this issue on in another state, we’d be happy to offer the wisdom (and sometimes folly) of our experience.